In the ranks of this year’s list, which are based on results for the past three years, you’ll see the fingerprints of many of the trends shaping our business lives: the construction boom fueled by rising real estate prices and downtown Detroit’s resurgence; high automotive sales that spur the local economy; and big acquisitions that offer overnight growth. Dunes Learning Center and its partners on Friday unveiled a new propane-powered school bus for use in transporting students participating in its environmental education programs. The unveiling took place during a press conference at Dunes Learning Center, 700 Howe Road, in Porter, Indiana. The Dunes Learning Center has a new addition to its fleet of propane-powered buses, one that will ensure that children can experience what the center has to offer while being better for the environment. Officials on Friday unveiled a 72-seat school bus at the center, which joins two similarly fueled shuttle buses, all provided through grant money. The center is situated within the Indiana Dunes National Lakeshore. Have you sold a propane bus lately? Then you could be a winner! We held our third quarterly drawing for four $250 Visa gift cards. For those of you who sold a propane school bus this fiscal year, you’ve been entered to win quarterly prizes as well as the grand prize — a ROUSH Stage 3 Mustang valued at more than $60,000. WINNERS: Please reach out to your ROUSH CleanTech alternative fuel sales representative to claim your prize. Not familiar with the contest? The grand prize is a ROUSH Stage 3 Mustang valued at more than $60,000. For every propane bus you sell starting on November 20, 2017, you automatically earn one entry to win. So far this fiscal year, over 1,700 propane school buses have been sold. Remember that the more propane buses you sell, the more entries you gain, increasing your odds to take home this iconic muscle car. One salesperson entry will be chosen at random at the end of Blue Bird’s fiscal year 2018, and the lucky winner will take delivery of the Mustang at the 2018 annual dealer meeting. We’re also offering giveaways throughout the year to reward your propane bus sales efforts. As previously mentioned, we’ll pick four winners each quarter to receive a $250 gift card. Good luck, and let’s sell propane buses! If you have any questions about the contest, please contact Ryan Zic at Ryan.Zic@roush.com. To date, twenty states have finalized their Environmental Mitigation Trust plans and are moving forward with the first phase of funding programs. Seven of those states have already published open funding opportunities and are actively seeking applicants. Seventeen states have draft plans published that we do not expect any drastic changes from current draft to final version, and fifteen states are still developing a draft for public comment. We are getting down to the finish line for making the case for states to prioritize low NOx / alternative fuel school bus in their phase 1 funding plans. With your help, we have collectively encouraged states to set aside at least $304 million so far for school bus-only replacement programs! Our job is not over, and the most important part of this process will be to ensure our customers submit winning applications when funding becomes available. Each state has been assigned a beneficiary, usually an environmental or energy government entity. A state listing can be found on the VW Settlement Clearinghouse website. If your state has drafted or is still drafting its plan, please contact Chelsea Jenkins at Chelsea.Jenkins@roush.com to discuss how best to approach your state agencies. We don’t want to miss this opportunity to get more funding for propane school buses! June was a busy month for tours. Six dealers brought groups to ROUSH CleanTech’s headquarters to see how our propane fuel systems are created. 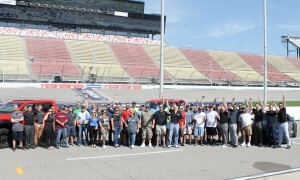 Attendees also toured the Ford Windsor engine plant and other Roush buildings. By the end, they were excited about propane! The attendees in these groups represented nearly 30 school districts from locations across the U.S. Having both current customers and potential customers together for the tours allows for peer-to-peer discussion on how propane buses operate. Tapping into this resource is a benefit that goes beyond what’s on the agenda! If you are interested in hosting a tour at ROUSH CleanTech, please contact Ryan Zic at Ryan.Zic@roush.com to learn more. 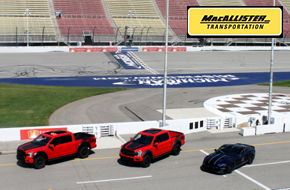 To show their customers appreciation, the folks from MacAllister Transportation treated them to a day on the track. 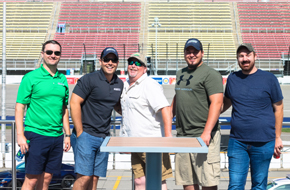 Representatives from a dozen school districts attended an event at the Michigan International Speedway (MIS), complete with a spin around the racetrack in a Roush Mustang and Roush F-150. 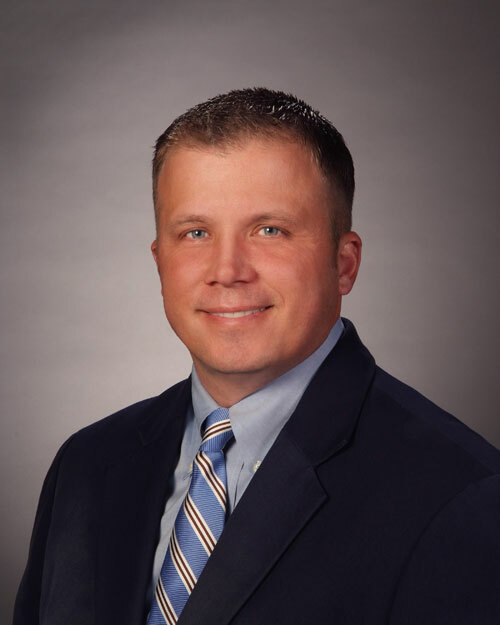 Ryan Campbell, transportation sales manager for MacAllister Transportation, invited all current propane and gasoline school bus customers to MIS for a customer appreciation day. The morning began with a meet and greet in the Roush Suite where more than 30 people from 12 school districts attended. Together, these districts operate 100 propane school buses and 57 gasoline buses. 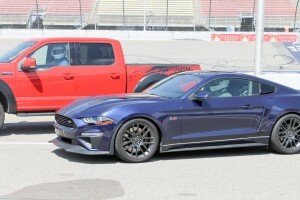 After receiving an overview of the day, the guests were escorted trackside where they were given the opportunity to drive a Roush Mustang and a Ford F-150 around the track. 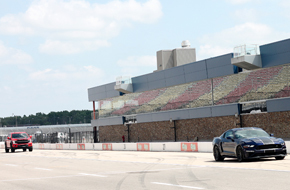 Professional drivers were also on site to drive guests around the track in official pace cars. Following the rides, the group toured the garage and were treated to lunch before departing. Campbell worked with Blue Bird and ROUSH CleanTech to make this day a success. If you have an idea for a customer appreciation event, please contact Ryan Zic at Ryan.Zic@roush.com. Click here to view the 2018 MacAllister track day album. July already — the perfect time to slow down, enjoy some sun and fun, and celebrate our nation’s independence. Speaking of independence, July is also a month when students and school districts enjoy summer break. I’d like to take a moment to thank every person involved in the student transportation industry. They are the unsung heroes, safely transporting 26 million students to and from school each day. And, recently, a study from the Propane Education & Research Council stated that almost a million of those students are riding in clean-burning propane school buses. With the school budget year just beginning for most systems, a major cost is transportation. With rising fuel costs and diesel engine mechanics harder to find, many districts have begun looking at vehicles that use alternative fuels such as gasoline and propane. Not only do these engines burn cleaner, they are easier to maintain and the fuel costs less. The cherry on top may be state and federal grants, as well as fuel companies’ incentives to switch from diesel.